In term of Section 83A of the Income Tax Act, 58 of 1962, read with Sections 110(1) and 111(1) of the Tax Administration Act, Act 28 of 2011, Chairpersons of the Tax Board are appointed by the Minister of Finance to attend tax appeal hearings for a period of five (5) years. The last appointment in this regard was made on 27 August 2013 for a period of five years, with such appointment expiring on 26 August 2018. As the five year period will be expiring, the term for newly appointed Tax board Chairperson will commence as of 27 August 2018. The remuneration structure for the previous intake is attached as Annexure “A”, SARS is in the process of recommending and seeking approval from the Minister of Finance for an increase in the fee structure. A brief curriculum vitae should be submitted by close of business on 16 March 2018. Kindly submit applications to Moitheri Liphoko (mliphoko@sars.gov.za). For any enquiries please contact Moither Liphoko on (012) 647 9537 or Lorraine Nhlumayo on (012) 422 7206. According to a survey conducted by Deloitte Touche Tohmatsu, most young professionals choose organizations that share their personal values; they put great value in their work, duties and obligations. Essentially, the message extracted here is that Millennials want to be valued at their workplaces and they are concerned about their personal growth. Someone who is in their early sixties would have been growing up in the ‘60s, so they will have been influenced by Martin Luther King, the use of the birth control pill, and anti-Vietnam demonstrations. That generation are very much the idealists. Even now, in their sixties, those people will still be idealists. Specific to South Africa, today’s young generation would have been born during the last stages of apartheid, would’ve seen the conclusion of the CODESA talks – not understanding their complexities of course. They would’ve watched the broadcast of the TRC hearings, noting and hearing the then catch phrase: reconciliation. One highly contested issue worldwide is the different value systems which millennials are posited to have, additionally, certain studies indicate that a majority of millennials are increasingly more liberal with regards to social issues than their older counterparts. There have been numerous studies conducted about millennials, partly because most companies are looking to understand their prospective employees and the global community is concerned about the calibre of leadership which is currently being grouped. Millennials are also referred to as the ‘values generation’, exhibiting high levels of emotional intelligence – which is largely debated and contested by ‘baby boomers’, the generation which precedes millennials. According to a study conducted by PWC, millennials’ career aspirations, attitudes about work, and knowledge of new technologies will define the culture of the 21st century workplace http://pwc.to/1MZ4TUK, and this why they matter. Hiring millennials requires rethinking the future of work and careers. The workplace and workforce are going to change pretty dramatically as we look forward. The entire concept of work is going to become more flexible. The skills needed in the workforce are going to be less about IQ and a little bit more about EQ. 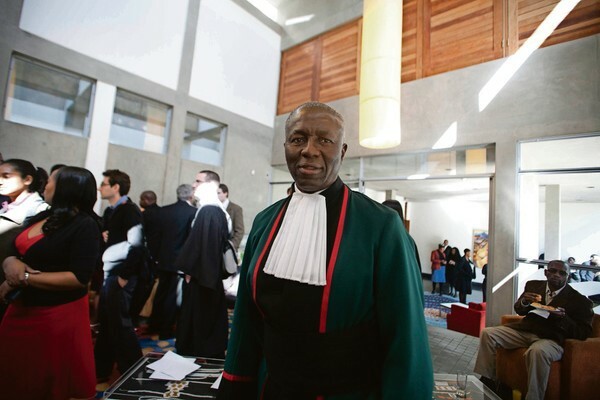 Former Deputy Chief Justice Dikgang Ernest Moseneke is a man of exceptional talents, a jurist, a leader, a son of the African soil. A member of the African Students Union, a founding member of the Black Lawyers Association – Legal Education Trust (BLA-LET), before he even began his career in the legal profession, Moseneke as a young person had already begun to conscientize himself with the injustices carried out by the then government of South Africa. At the tender age of 13, a young Moseneke was arrested, sentenced and spent the duration of his sentence at Robben Island – which is where he began and completed his studies. During his earlier days, he practised first as an attorney and later on as an advocate, achieving silk before being appointed onto the bench http://bit.ly/1N9YkJi. I have been self-indulgent in recognising many friends and people who are present at this dinner. This is in deep recognition of the very basic fact that no award which is fully meaningful could ever be achieved by the efforts of one person. You know well by now, that our indigenous culture recognises the interconnectedness of people. Deputy Chief Justice Moseneke speaks about how, in traditional African culture, the shade of a tree was the place where disputes of society were mediated and resolved. 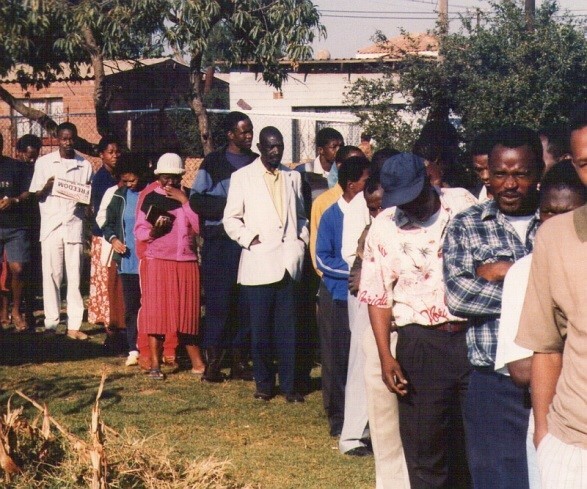 The community would meet for a lekgotla and there was room for all to have their say. Everyone participated in the process. This is how justice was done. We could all take a leaf, a lesson or several from this formidable man. He had from a young age developed a sense of justice and civic duty. He would go on to carry on with the mandate of carrying out justice to the people even in his older years. As he retires, the baton is now passed on to the current and future generations, young and old. Going forward, when we sit around trees and gather to tell tales and stories of African heroes, his name and the values he embodies should be told. We wish him well on his retirement; Dikgang Ernest Moseneke certainly is a shining beacon to all. Internationally mediation burst into consciousness in the mid-1970s and has since that time been a chosen process for resolving disputes http://bit.ly/29B4MTa. 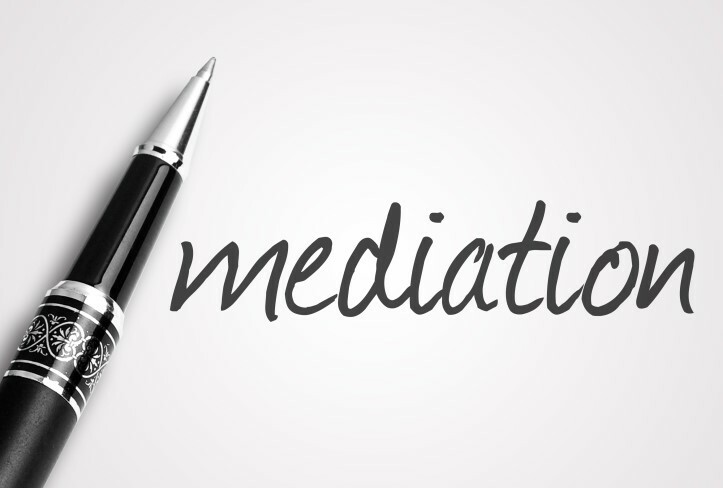 Below, we briefly touch on the factors surrounding mediation, the advantages and disadvantages of utilizing mediation as a mode of conflict resolution and how it may aid in the relief of the backlog of cases in our judiciary. Provide litigants or potential litigants with solutions to the dispute, which are beyond the scope and powers of judicial officer http://bit.ly/29b0PkZ. The above mentioned rules, give enforcement to Section 34 of the #Constitution, which reads as follows: everyone has the right to have any dispute that can be resolved by the application of law decided in a fair public hearing before a court or where appropriate another independent and impartial tribunal or forum http://bit.ly/1VPWx5R. Mediation forms part of the principles grouped under ADR, once referred to as alternative dispute resolution and now referred to by some as appropriate dispute resolution. It is essentially aimed at the resolve or settlement of conflict and disputes between parties. It is a particularly favourable mode of resolution, when parties in the dispute still want to maintain the working relationship, opted to by many franchises and other agreements in like. Success in mediation depends on each party’s “good faith” commitment to the process which is sometimes lacking. Mediation, perhaps not as big in the South African context as it is compared to other jurisdictions, is still an available mode for the resolution of disputes and conflict. 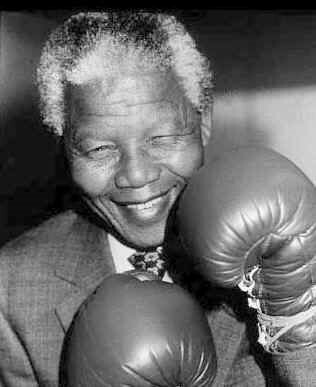 Of the many things Nelson Rolihlahla Mandela held closely to his heart, namely: human rights; education; children’s rights; passion for sports (as a tool to heal and unite our nation). Human rights shall be the first point we touch on. We are reminded by the quote below, of the darker times our beautiful country, and people once had to endure, of the long walk to freedom that we made. 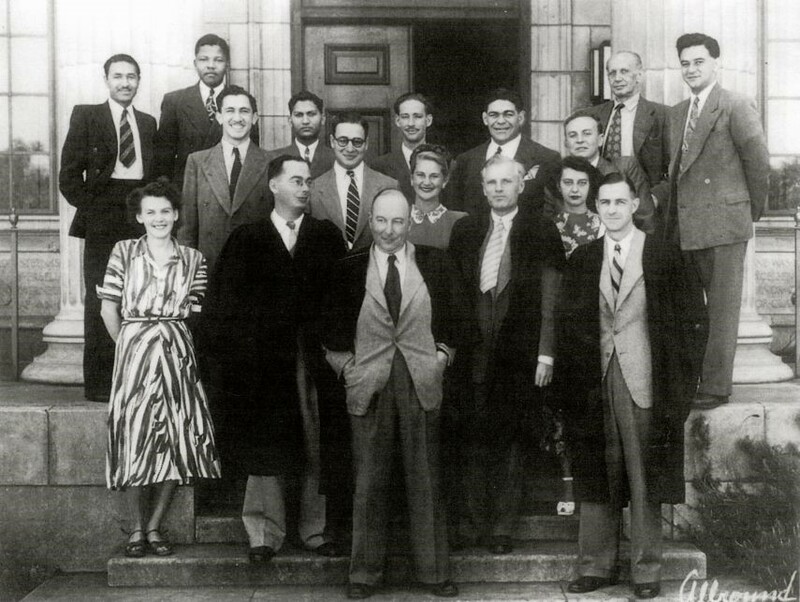 The Convention for a Democratic South Africa (CODESA) http://bit.ly/29U2Bbutalks, were a tool of negotiation between the then government, organizations and political parties of South Africa, striving toward a better government and living measures for people of all races in the country inter alia. The question that faces us all is, how long can we, who claim to be the leaders of our people sit here, talk eloquently, spin out complicated formulae and enjoy the applause while the country sinks deeper and deeper into crisis…? Which raises the question, has the Mandela legacy been given effect to? 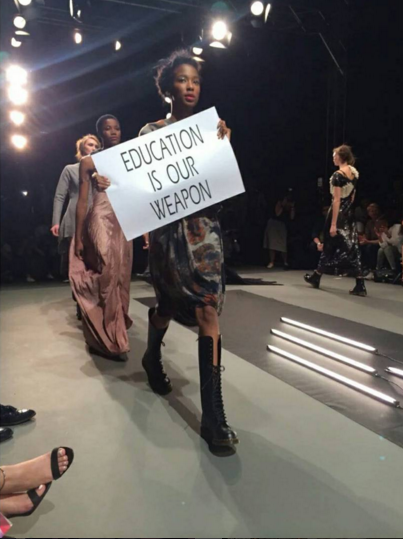 Should the youth and children of this country be out on the streets pleading for their rights and access to higher education? If not them, then whom should the responsibility lie with? 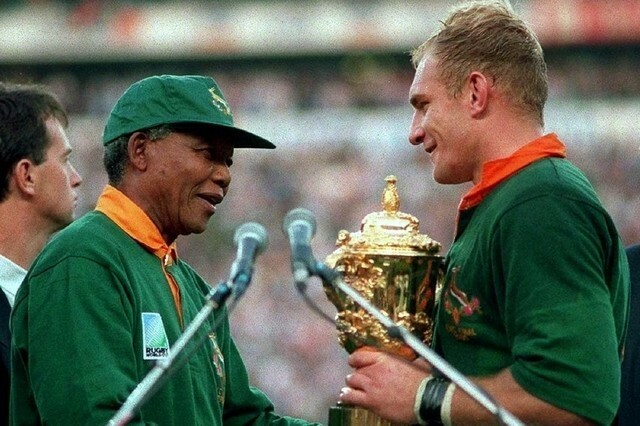 Another iconic image, which will be forever engrained in our history, is the lifting of the 1995 Rugby World Cup Trophy by the late Mandela, uTata Madiba as he is affectionately known. Nelson Mandela has gifted us with his legacy, the baton is now passed on to us, what legacies are we striving towards? Worker’s Day or ‘May Day’ as it is popularly known, is a day which recognizes the Trade Unions; Communist Party and other labour movements for the role they played in defiance of the apartheid regime and struggle. Remember how few we were when we started? Look at us now, just look at us. We are becoming ministers of justice, judges and we will become attorney generals and we will rule this country. We will. The atmosphere was a revolutionary, as a nation, we were once more making international headlines. All eyes were on South Africa, the United Nations also sent a delegation of observers to ensure that the elections ran smoothly and in accordance with international norms. 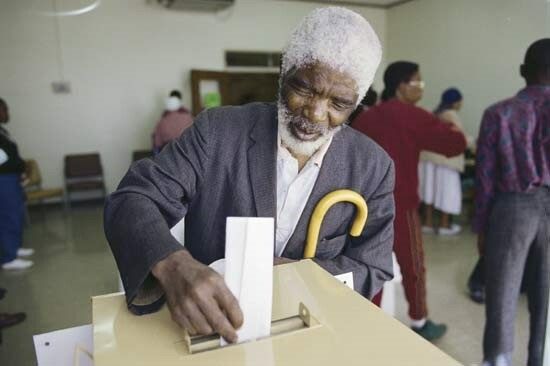 The electoral system used and still currently used is proportional representation, which then led to the victory of the African National Congress as it received the majority votes– it indeed signalled the dawn of a new era for South Africa. The country would never be the same again. In 2014, we celebrated 20 years of democracy, not without our challenges as with all young democracies. Nelson Mandela is quoted as saying, in a circa 1995 speech ‘’the ultimate goal of a better life is yet to be realised.’’ Which, given the socio-economic status of the country, rings true, given the #FeesMustFall; #Luister and #NationalShutdown campaigns and movements among others. Yet do we overall have a grand story to tell? We’ve made vast strides and improvements in telecommunications; electricity and housing, which is only but an overview. We’re a country moving forward, with local government elections scheduled to be held 3-5 August 2016. There is much to be said, much to be done. It has become commonplace to assert that while South Africa experienced a political sea change in 1994, the economic underpinnings of apartheid have hardly shifted, leaving us with an incomplete revolution and, some warn, perched atop a ticking bomb. The current imagery in South Africa looks and reads differently than it did 22 years ago. As the world expands, young markets boom and emerge, new technologies are shared; the urbanisation of our cities and towns peak, which creates a need of innovative legal solutions, for our new age legal problems. The concept of lifelong learning, in-conjunction with new developments in technology and the movement of people presents an opportunity for growth in all the markets. This is also the case for the legal profession. A few decades ago, Intellectual Property (IPOs) for instance, and corporate compliance (see ‘what is the importance of compliance’: http://bit.ly/1Qm9mMX) were not a peak in the profession, however, excitedly as the country develops, so too does the profession and the need for legal skills expansion. Enter Continuing Legal Education (CLE); several law faculties in South Africa have already introduced CLE as a mode of learning/module. Its purpose, to help law students grasp the concept of continuity in their acquisition of legal skills, for example If you obtained your LLB or applicable equivalent, a decade ago, with the fast shift in technologies and new legislative reforms, there may be a myriad of requisite legal skills you will need to acquire and sharpen today. We’ve introduced CLE, as part of our educational programmes for this reason, it is also a programme that ties in with the core purpose of the Legal Education Centre which inter alia is, to demystify the law and advance its accessibility. 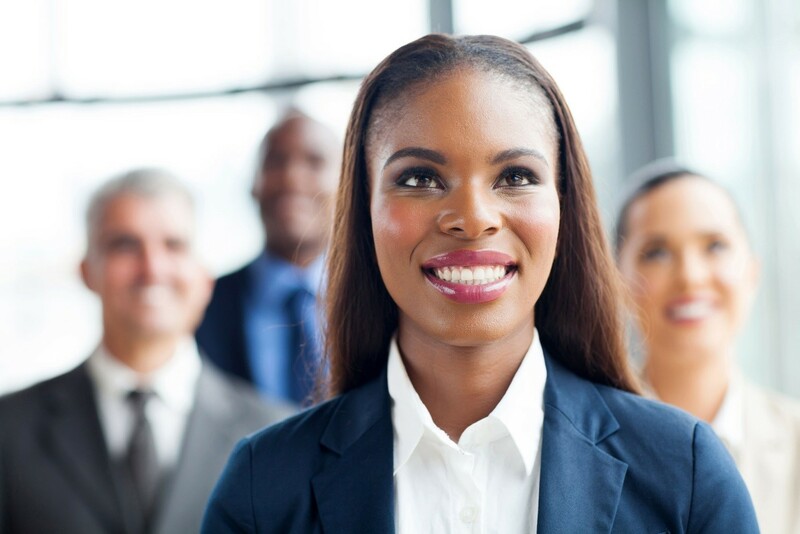 Our CLE is: is aimed at primarily building capacity – which speaks to the above core purpose (see our mission statement: http://bit.ly/1uRGI1V), enhancing the skills of lawyers and making law accessible to all black and historically disadvantaged legal practitioners in South Africa. A typical trait of the exciting yet fast paced modern lifestyles we’re living in, is stress. There are several levels of stress, yet as legal professionals we would shy away from any such diagnosis as it isn’t our field of expertise per se. What we may however speak on, is how to alleviate that stress. Being pressed for time, not meeting requisite deadlines (think of the consequences and implications of not filing a Notice of Bar on time!) may lead to extra costs and work overload – but if one hones the skill of effectively managing their time, that would yield far greater result. Because time when managed well, really is your currency. These are only brief points which, incorporated with your work style may aid in your journey to effective time management. As with all great things, it starts with self and we always advocate for pro-activity. So go out there and succeed.